Without really thinking much about it, I always assumed that budget retailer Rainbow was a product of the 1970s. Well, yes & no. 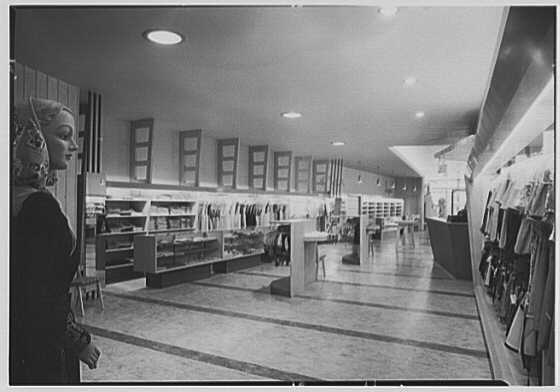 The company was founded in 1935, by Austrian-born Irving Swarzman, who brought four of his brothers into the business, and built up an empire of eighty-two stores. The Swarzmans sold the business in the 70's and it is currently owned by the Chehebar family. Rainbow is still based in Brooklyn, but is now a national chain, with around 1,300 stores. 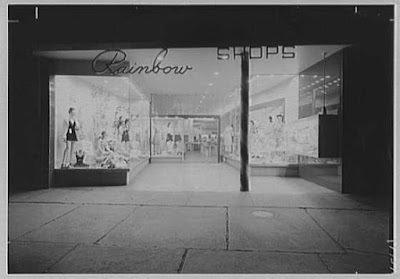 The store pictured above, at 1267 Broadway (Bushwick), no longer exists, though today there are two other Rainbows close by on Broadway. 530 Fifth (top picture) was purchased by the Rainbow company in the 1990's, though I have fuzzy & probably inaccurate memories of it having been there a while longer. In earlier days there was a tavern at this address, and in August of 1900 injured motorman Henry Walsh was carried there after a trolley collision at Fifth & 9th. The accident was attributed to Walsh having suffered from heat exhaustion.